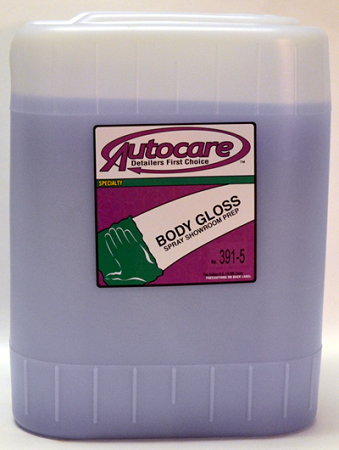 BODY GLOSS is a quick, easy formula designed for maintaining the perfect finish on showroom or final delivery vehicles. Removes finger prints, smudges, and buffing residue. Safe on all paint finishes, chrome, and glass. The only product to use as a clay lubricant. VOC compliant. 106 points will be rewarded to you when you buy this item.